Featuring the Pro 2.0 head with prism eyes, scale pattern molding and brass willow blade. Measuring less than 3.75 inches, it is the ultimate finesse presentation. 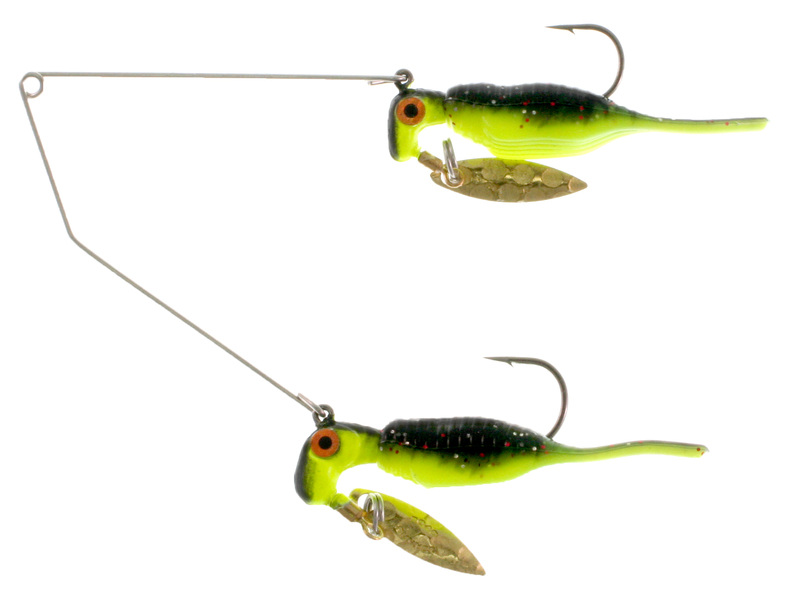 Perfect for Bass, Crappie, Spots and Smallies.